Home » Events and Blogs » Blog » Recipe of the week: Burrito Bowl! 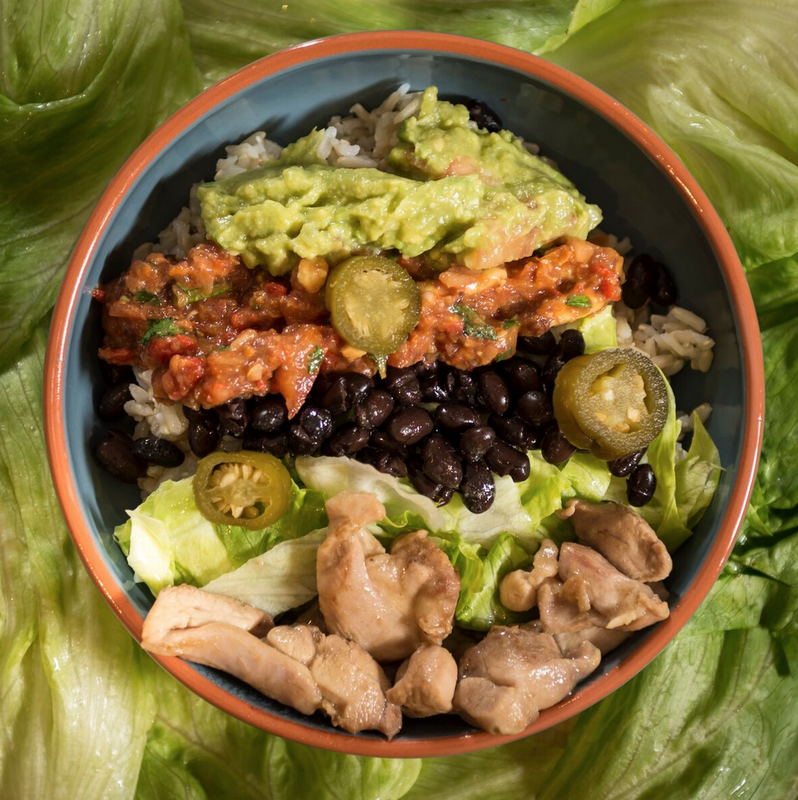 Recipe of the week: Burrito Bowl! Firstly marinate the chicken. Leave it sit while you prepare the other ingredients. Note that this can be done overnight for maximum flavour. Begin by cooking the rice. This will take about 30 minutes. Drain it well when done. While it’s cooking you will also need to be cooking the chicken. A bit less time is needed for cooking the chicken. Only about 10 minutes. First in the bowl you are going to serve is the rice. Line up each of the remaining ingredients as listed. Now if you’re game, place a few slices of jalapeño on top. Ready to go. Make individual bowls for each person. *Marinate the chicken with a mix of thinly sliced chilli, 15 ml apple cider vinegar, ¼ tsp. ground cumin, ¼ tsp. Himalayan salt, ¼ cup of rice bran oil. Overnight if possible, but at least 2 hours for the flavours to get into the chicken. There’s enough marinate here for 500g of chicken, 4 people. If you have little ones and are worried about the chilli being too hot for them, just don’t use it.